Ben. Senior Poultry Guard Dog. Castle Farm sits on the Herefordshire/Radnorshire border, 6 miles NW of Hay-on-Wye. I have been interested in poultry for over 60 years and a hobby turned into a passion. Over the years I have tried to breed traditional breeds that earn their keep either by producing eggs or being a good sized table bird or both. The word utility bred should be in there somewhere. Castle Farm is Defra poultry registered and we run our small-holding on traditional lines. We do not exhibit our birds in any shows but in saying that, all our birds are bred with the view of producing top quality stock that conform to the standards set down by the British Poultry Standard guidelines and my opinion of what constitutes a bird worth keeping and breeding from. 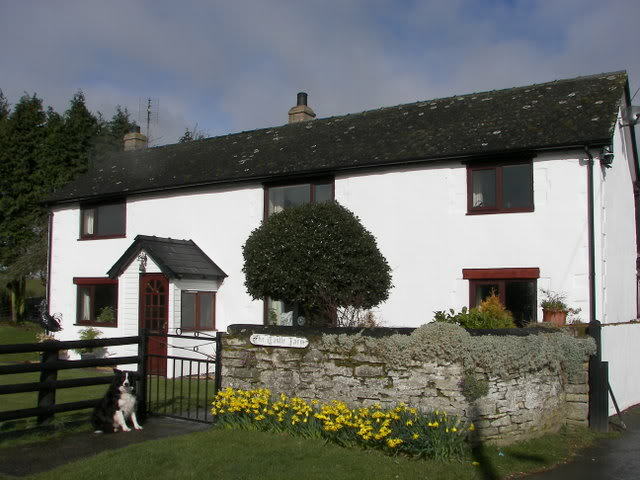 We do not have a high capacity poultry farm and cater for Smallholders and hobby keepers. Besides all the poultry we keep a flock of 50 pedigree Llyen sheep and a Welsh Cob shepherding pony. 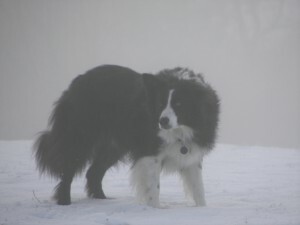 Ben, Mist and Dudley are working collies reared and brought up with the birds. With all 3 dogs out 24/7 I rarely if ever get any fox or stray dog problems. Ben and Dudley are quite protective, especially after dark.